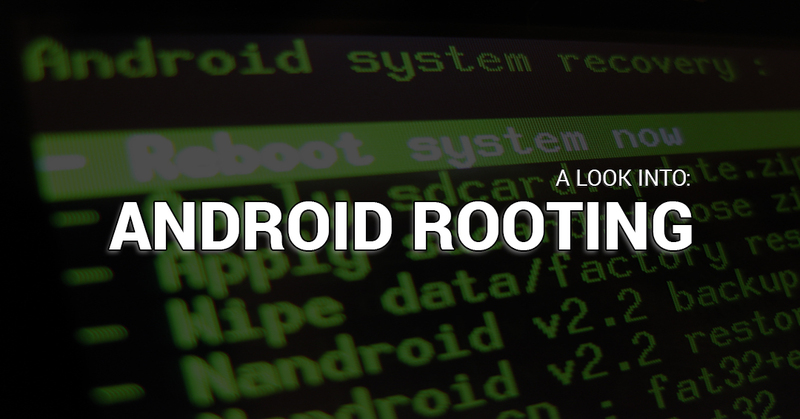 kernel Rom ROMMING Root themes XDA Why would one ROOT his Android device with today's Android platform? Why would one ROOT his Android device with today's Android platform? Although we’ve come a long way from the days of Froyo, one may still want to “ROOT” the smartphone they have for various reasons. All of these reasons do have a legitimacy to them such as using Substratum for custom themes, wanting to use a better performant kernel, trying out a new custom ROM and the list goes on. If you’re part of the group of people that considers themselves adventurous, you have the know how and are willing to go above and beyond then here’s a few key points I’ll go over when it comes to rooting and what you get out of it. While I’m sure you’ve enjoyed your Android experience, you may be annoyed by the so call “ADS” proliferating in free apps, on the web and so on. I do believe that developers need to make money and there’s really no such thing as free apps. If you think about it; You’re trading screen real estate for ads, information and more so that you can enjoy an app that you don’t need to fork money for. This is where an Adblocker comes into play! While controversial in many when it comes to getting rid of ads, most won’t talk about it. Let’s face it, we’ve all done it at one point or another and we didn’t feel guilty about. The option that is used often when someone roots their device for the first time is usually to get AdAway and this allows to have an automated list that’s updated daily added to your host file so that ads are no more. Of course, this doesn’t target all the possibility of ads out there, but a majority of them should cease to creep up on your display. One of the solutions to this would be to offer the ability to user to click an X to close the ad once it’s display, this would in turn still do what it’s intended which is generate revenue, be displayed and potentially get click returns from the ads if it does pertain to the interest of the consumer. This would give more control over what gets displayed to the consumer. There are so many other ways to have ads displayed that won’t be intrusive and annoying and this might make the application experience better for everyone. When we talk about “ROOT” we also talk about “ROMS”. It’s been widely known among geeks and enthusiasts that ROM’s provide a certain level of “HELL YEAH”. ROM’s are derived from developers in the community and they often showcase people with skills in building something different that everyone can use, but by everyone what I really mean is the same device as the rom is made for, you can’t just go ahead and flash any rom you find on whatever device. That’s why we have communities like XDA-Developers that features a rich and vibrant community with content for anyone and everyone. You’ll be happy to know that there’s detailed tutorials, guides, tools to make your life easier when it comes to rooting, romming, themes, kernels and more. I’ve only scratched the surface of what is possible with a rooted device, but for anyone interested, you’ll find plenty of information on XDA and I highly recommend visiting the site and forum. One might want to wait until their warranty expires before going ahead and start playing around with such things just in case something goes bump and you can’t fix it yourself. I’ve bricked a few devices myself.